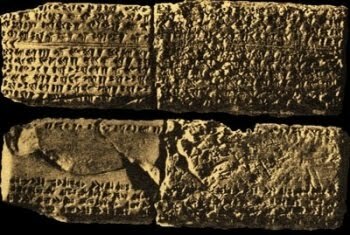 Recently-excavated texts found near the ancient Mediterranean port city of Ugarit (located in modern-day Syria) are written in a language structurally-similar to Arabic. The Ugaritic language, discovered by French archaeologists in 1928, is known only in the form of writings found in the lost city of Ugarit, near the modern village of Ras Shamra, Syria. It has been extremely important for scholars of the Old Testament in clarifying Biblical Hebrew texts and has revealed more of the way in which ancient Israelite culture finds parallels in the neighboring cultures. Along with the development of Hebrew, Ugratic literature also had a major impact on parts of the Old Testament.